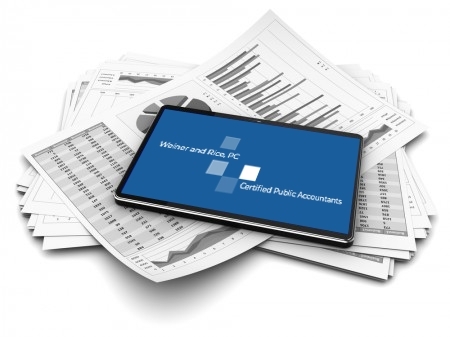 Established in 1986, Weiner and Rice, PC is a public accounting firm that offers premium tax and accounting services. Serving individuals and industries with a variety of accounting needs, our professionals develop close relationships with clients to find ways to improve financial situations. We specialize in preparing tax returns for individuals, small businesses, trusts, estates and non-profit organizations. In addition, we assist clients with bookkeeping and QuickBooks training, payroll processing, financial statements, tax planning, and IRS and State Audits. Our team offers personalized assistance and strives for quality in everything we do. We apply careful analysis and practical experience to increase your wealth and minimize your tax liability. Having a trusted advisor is essential to running a lucrative business. Weiner and Rice, PC provides consulting services for small to medium-sized businesses on topics ranging from best practices to budgeting. We advise clients on all stages of a business: from company start-up, maximizing profitability, and when the time comes, developing a sound exit strategy. Properly prepared financial statements help business owners budget for future expenses, make management decisions and secure bank loans. Individuals need personal financial statements for personal loans, financial aid and investment management. Weiner and Rice, PC provides financial statements on a monthly, quarterly, or annual basis to meet your partial need. Federal and state taxing authorities examine tax returns to verify accuracy of the tax reported. At Weiner and Rice, PC we explain the audit process clearly, review the data available and work with you and the taxing authority to resolve the issue in a timely manner. We understand that audits can be complicated. We offer the experience and expertise necessary to navigate the audit process. Managing administrative tasks while running your business is not easy. We provide bookkeeping services for clients who need assistance in recording their income and expenses. QuickBooks is the standard for small business accounting software. We are Certified QuickBooks ProAdvisors. We can assist you with bookkeeping questions you may have and also schedule QuickBooks training sessions to add to or improve your current skill level. At Weiner and Rice, PC we customize payroll to fit your needs. We can assist you with record keeping, reporting and filing with each federal and state taxing authority. We can prepare payroll for you and your employees and assist you in choosing a retirement plan for your business. We also process 1099 Forms for contractors and will consult with you on various federal and state requirements for information reporting and tax withholding. Tax planning and budgeting is crucial to success for you and your business. We apply careful analysis and practical experience to increase your wealth and minimize your tax liability. We work with you on an ongoing basis and are there when your circumstances change to make sure short-term adjustments do not distract you from long-term goals. Caroline has been working as an accountant for Weiner and Rice, PC since 2012. She received a Bachelor of Arts in Finance from Simmons College and a Master of Science in Accountancy from University of Massachusetts Boston. Caroline previously worked as a tax specialist at H&R Block and as an online gaming analyst. She is currently a resident of Norwood, Massachusetts and enjoys solving puzzles and watching documentaries. 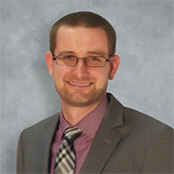 Darren has been working as an accountant for Weiner and Rice, PC since 2006. He received a Bachelor of Science in Accounting from St. Michael’s College in Colchester, Vermont and earned a Master of Science in Accountancy from Bentley University in Waltham, Massachusetts. In his free time, he enjoys playing with his children and dogs as well as playing softball, fishing, and watching sports. 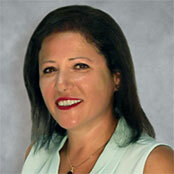 Fran has been working as an accountant for Weiner and Rice, PC since 2001. He received a Bachelor of Science in Accounting from Bentley University in Waltham, Massachusetts. 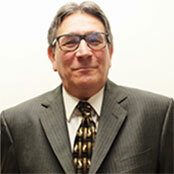 Fran has over 35 years of accounting experience, specializing in the automobile and telecommunication industries. Fran is a life-long resident of Waltham, Massachusetts and enjoys sports and the arts. Jason has been working as an accountant for Weiner and Rice, PC since 2013. He received a Bachelor of Science in Accountancy from Bentley University in Waltham, Massachusetts and a Master of Science in Taxation from Bentley University. Jason previously worked for Pratt & Whitney forming tubing for aerospace engines. 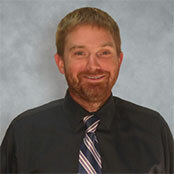 He is a resident of Marlborough, Massachusetts and enjoys camping, grilling, playing video games and watching movies. 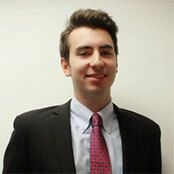 Lewis has been working as an accountant at Weiner and Rice, PC Since August of 2018. He received a Bachelor of Science degree in Accounting from The University of Connecticut in Storrs, Connecticut in May of 2018. He also studied abroad in London, England. 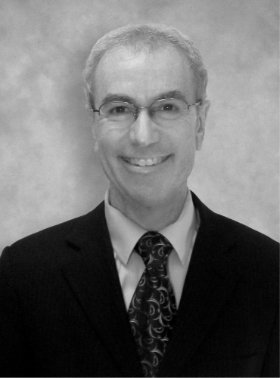 Lewis is lifelong a resident of Newton, Massachusetts and enjoys watching sports, watching movies, golfing, and traveling. Jim has been an accountant with Weiner and Rice, PC since 1990. He received a Master of Science in Taxation and a Master of Science in Financial Planning from Bentley University in Waltham, Massachusetts. He has also received a Master of Science of Law in International Taxation & Financial Services from the Thomas Jefferson School of Law. Jim’s prior work experience was in the construction industry. 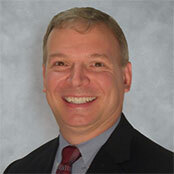 Jim is a life-long resident of Arlington, Massachusetts and enjoys traveling. Ron has been owner of Weiner and Rice, PC since 1986 and has always worked in public accounting. He received a Master of Science in Taxation from Bentley University in Waltham, Massachusetts and a Master of Business Administration from Boston University. He is a member of the American Institute of Certified Public Accountants and the Massachusetts Society of Certified Public Accountants. 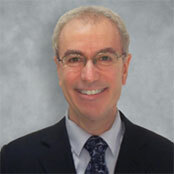 Ron is a long-term member of the BNI Financial District Chapter. He is a resident of Newton, Massachusetts and enjoys watching Boston sports teams. 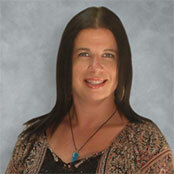 Staci has been working as an administrative assistant for Weiner and Rice, PC since 2011. She received an Associate Degree in Liberal Arts from Bunker Hill Community College in December 2014. Staci previously worked for an insurance agency as a customer advisor. She has several years of experience in billing, computers, and customer service. Staci is a resident of Somerville, Massachusetts and enjoys spending time with her children. Thad joined Weiner and Rice, PC in 2012. He received a Bachelor of Science in Accounting from the State University of New York at Geneseo. Thad has worked in both public accounting and private industry, including various Controller and Chief Financial Officer roles. Licensed in New York State, he is currently a resident of Framingham, Massachusetts and enjoys soccer, golf and spending time with his son. Alice has been working as an accountant for Weiner and Rice, PC since January of 2016. She received a Bachelor of Arts degree from Zhejiang Gongshang University in China and a Master of Science in Accountancy from Bentley University in Waltham, Massachusetts. She also studied abroad at the University of California, Riverside, for a year and a half as an exchange student. She is currently studying for her CPA license. Alice previously worked in the financial investment advisory and accounting departments for a non-profit organization. She enjoys traveling and playing with her dog in her free time. Ron has been the owner of Weiner and Rice, PC since 1986 and has always worked in public accounting. He received a Master of Science in Taxation from Bentley University in Waltham, Massachusetts and a Master of Business Administration from Boston University. He is a member of the American Institute of Certified Public Accountants and the Massachusetts Society of Certified Public Accountants. 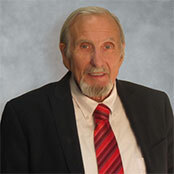 Ron is a long-term member of the BNI Financial District Chapter. He is a resident of Newton, Massachusetts and enjoys watching Boston sports teams. In the 1950’s Irving (Sonny) Weiner was a partner of Weiner and Becker, a CPA firm located in Boston, Massachusetts. In 1986 Sonny and Ronald Rice became partners and moved Weiner and Rice to Chestnut Hill, Massachusetts. In 1994, Ron assumed full ownership of the business and in 2006 Weiner and Rice, PC relocated to Newton, MA. Today, Weiner and Rice, PC still maintains the accounts of many clients from the original Weiner and Becker partnership. From the North, take I-95S to Exit 19C-B-A the Highland Ave exit toward Needham. Keep left at the fork to continue toward Kendrick St/Needham. Take Exit 19A Kendrick Street. Turn left at the light onto Kendrick Street. From the South, take I-95N to exit 19A onto Kendrick Street. Continue on Kendrick Street until the second traffic light and take a right onto Wells Avenue. Follow Wells Avenue until you see a blue and silver sign on the left that says 70 Wells Avenue and take a left into the parking lot. Our office is located on the first floor, Suite 102. © 2018 Weiner and Rice, PC. For over five years, Ron Rice has done exceptional work in the preparation and filing of annual tax reports for the non-profit environmental organization, Green Newton. We could not be more satisfied with the quality of the work performed by Ron and his excellent staff, as well as the reliable attention we always receive whenever the need arises. Therefore, Green Newton gladly recommends Weiner and Rice to any organization in need of top notch accounting services. As an estate planning attorney, I rely on Weiner and Rice to prepare fiduciary and personal income tax returns for many of my clients. Weiner and Rice separate themselves from most accounting firms with their depth of knowledge and unparalleled responsiveness to questions from my clients and me. I highly recommend them for your tax needs. I've been a client of Weiner & Rice since 2010. I always get an exceptional guidance and know that I am in good hands since I started to do my taxes here. 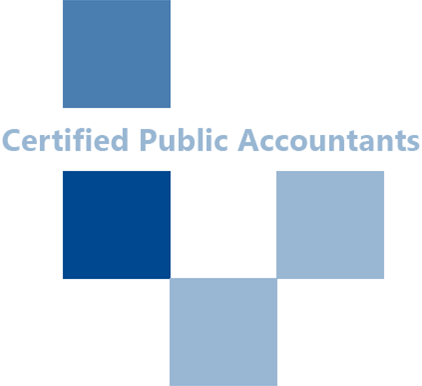 Ron Rice without doubt is one of the most recognized CPA's in Massachusetts. I know about a dozen of his clients and I have yet to hear about anyone's dissatisfied with the service they receive from him. Maybe that is the reason why his practice continues to grow year after year. Weiner and Rice earns new clients through a complete satisfaction of their current clients. I am also sure that Ron's great sense of humor helps in that growth as well. Ron has been an accountant I have had the privilege of using for several years now. I never have any hesitancy to recommend Ron to my friends and colleagues as well. His knowledge of the tax laws is vast and beyond reproach. He has a wonderful grasp of the tax codes and how best to use them to the client’s advantage. But in my mind what sets Ron apart from other accountants is how much he cares about his clients. He has a genuine concern for making sure that the client gets his undivided attention, the best representation humanly possible and making sure that every matter is handled with a great deal of professionalism. He is withholdingut doubt one of the hardest working professional people I know. If I had get the RIGHT answer right now, I’d call Ron Rice! I have known Ron since 1998, and shortly thereafter became a client of W&R and have remained so ever since. Throughout these years, I’ve had the pleasure of referring numerous clients, friends, and family to Weiner and Rice and its dedicated staff because I know they will take care of my referral with top notch advice and they won’t rest (literally) until things are done correctly. Weiner & Rice does a phenomenal job both with individuals and the small and medium sized businesses they serve. Weiner and Rice has been an important member of “The Shannon Corporation Team” since 1988! Their flexibility and professionalism has been exceedingly important to us for more than 30 years. Ron Rice and his team have advised us in the development of our financial systems, investments, retirement programs and all facets of our everchanging financial needs. Their tax advice has been exceedingly helpful and enabled us to maximize our profits while keeping up with the myriad changes in tax codes. Weiner and Rice has also been instrumental in arranging relationships with other Shannon Team Members from Banking, Insurance, and Investments. We would strongly recommend Weiner and Rice for your financial reporting and planning needs.